Your DJ – why book us? Your entertainment will take up to 30 – 40% of your wedding day and is the time that you can relax a bit more and have some fun. You will obviously want to book someone who is experienced & can also manage your wedding formalities in a professional manner. We LOVE people who are passionate about their entertainment and realise that not all DJ’s are the same. A club DJ may look impressive in a local bar or you may know someone who did your 21st birthday, but that may not translate to your wedding, especially if they have little experience of running a mobile DJ business. Wedding are probably one of the most difficult events to get right, because your guests may span several generations, have differing musical preferences and may even be from different countries or ethnic origins. It’s good organisation, personalisation and selecting the right music, that can mean the difference between an empty or packed dance floor on your wedding day and that takes many years to get right. There are no official qualifications to become a DJ so anyone can go out & get all the best equipment and call themselves a mobile DJ. Take it from us we have been doing this a long time and we are still learning as every function has different type of guests and dynamics, so knowing what to do in every eventuality and being flexible is crucial! 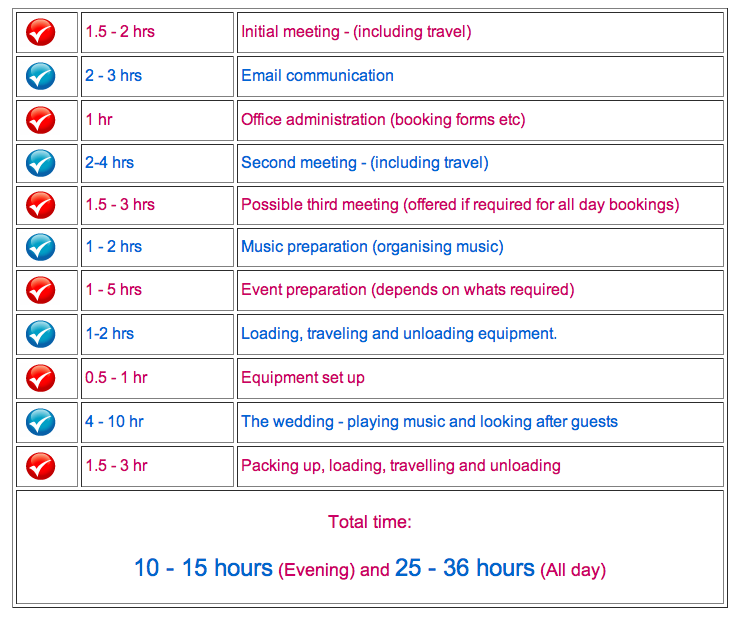 We are available to meet you at your venue before booking, for an informal chat. This allows you to ask questions & also for us to distinguish exactly what you require in terms of music and any other ideas that you may have. You can be sure that we only use the best DJ’s in the area and they will work with you to provide bespoke wedding entertainment! 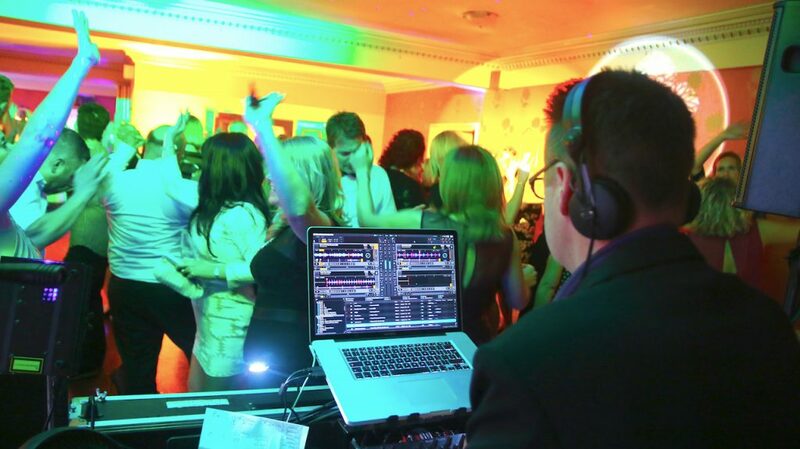 Your DJ will also present the key formalities of your evening at the right time and in the right manner. We include a planning meeting in person at your venue with your booking. All of our DJ’s use state of the art sound and lighting & are fully insured. Every wedding is different so we adapt to you and your guests musical tastes. We love unique request list and can help you with other ideas, so If you have any special requirements, then we would love to hear from you! You will be pleased to know that we try to steer clear of very cheesy tracks and always try to make every music set different. We also mix all music professionally and will not interrupt all the time with chit-chat over the microphone. Ban list – Opps Upside Your Head, The Birdie Song, Agadoo, Time Warp, Saturday night, Cha Cha Slide, Superman etc…! We have a saying at Your DJ that ‘a wedding does not happen, it is planned and managed‘ so rather than just taking the booking and turning up on the day (having never met you), we go much further as the success of your wedding is very important to us. You would not invite a stranger to your wedding so we like to invest time in getting to know you and making your day personal, memorable and spectacular! Lots of what we do looks like it just happens (and some of it often does) but many parts of your entertainment are pre organised so that it all goes well on the day. We are not the cheapest Mobile DJ business in Hampshire but if you are looking for a quality service and great value for money then we are the DJ’s for your wedding! If you are on a tight budget then we are very flexible with payments and can offer a monthly payment plan so your expenses are easily managed. Our prices start at £590 for the evening and £940 for all day. Generally with our service the more you book the more you get, but we always provide a bespoke service, so if you have any special ideas or want some advice then we are more than happy to help. Copyright © 2019 Your DJ. Powered by WordPress. Theme: Spacious by ThemeGrill.